Fluidchem Valves (I) Pvt. 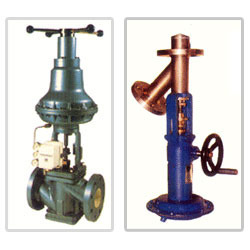 Ltd.
We are one of the most reputed companies which are involved in the Valves Repairing Services. Our entire repairing operations are performed by a team of qualified engineers, welders and fitters, which is efficient in its field of operation, and can easily handle any query that the clients might have. Repairs, cleaning, testing and onsite turnaround management service make space valve industries a total solution provider. - 12 years of expertise in ' in situ ' valve repair for customers all over india. - Valves are repaired in accordance with api standards. - A efco mobile service team is with the customer within 24 hrs. Our company has achieved laurels in providing Proportional Valve Repairing Service to the clients. These services are offered with group of skilled and experienced trained guys to ensure most satisfaction customer services. This service is undertaken by highly skilled workforce using advanced equipments and technology. 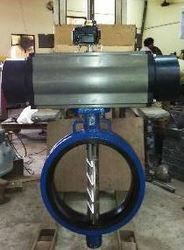 We are specialists in Autoconer Magnet Valves Repairing Services. The entire repairing job is performed by our skilled team of engineers, fitters and welders, who are proficient in addressing all the requirements of our esteemed clients. Moreover, we are recognized for the delivery of services well within time.